My aunt and cousins have returned from Japan! To help their transition home I made a quiche. 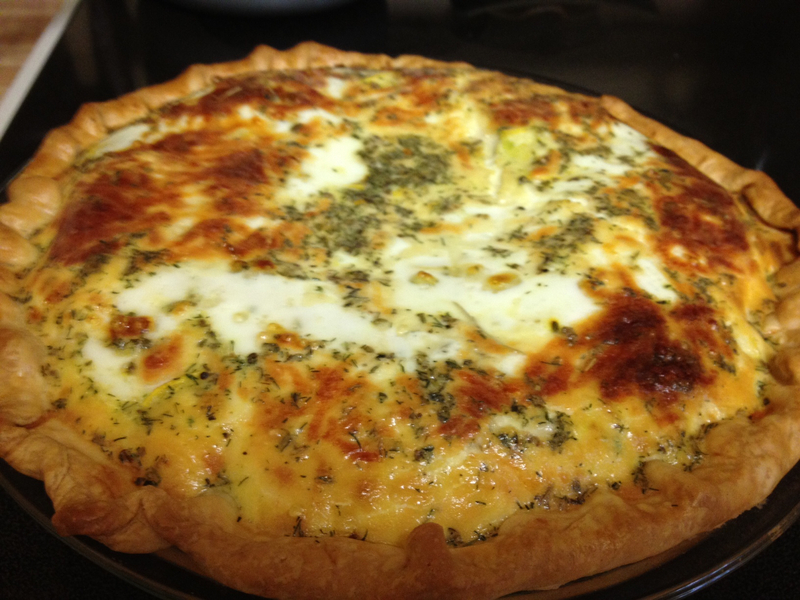 The girls really like quiche, so it’s a convenient anytime of day meal. Since this was for kids I kept the flavors pretty mild. Roll out your pie crust in a 9″ pie pan. In a large skillet, heat olive oil over medium high heat. Add sliced squash and pesto. Cook squash until tender. In a medium bowl, whisk together the eggs, egg whites, milk, cream and spices. Layer the squash and cheese in the pie dish then pour on the egg mixture. Carefully transfer the pie dish to the oven and bake for 30-40 minutes.